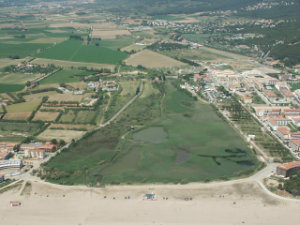 Within the Limnology of Mediterranean lagoons and wetlands research team we are studying the ecological functioning of wetlands and shallow waters, including freshwater temporary wetlands, as well as coastal lagoons and marshes with marine influence. Do you want to do a PhD or a post-doc studying the aquatic community of shallow waters? Just contact us. The study of species composition of aquatic communities in these waters, phytoplankton, zooplankton and aquatic macroinvertebrates, and the trophic relationships found among them. It includes the analysis of species composition using other non-taxonomic but functional approaches, such as the size of the individuals, their feeding habits or their life-history strategies. The influence of environmental factors (hydrological, physical, chemical and biological) and their variability on the ecological functioning of these aquatic ecosystems. The restoration of waterbodies and creation of new ones, within the framework of several Life-Nature projects. The comparison of biological quality elements and the development of biological indicators for the assessment of the ecological status of Mediterranean shallow waters, as required for the implementation of the Water Framework Directive. Our team belongs to the Research Group on Ecology of Inland Waters (GRCT17) of the Institute of Aquatic Ecology from the University of Girona. Temporal patterns in animal community structure and their relationships with environmental factors, such as hydroperiod duration, salinity or nutrient composition. 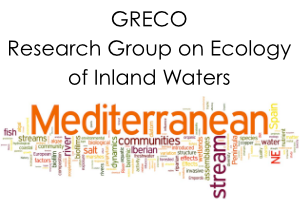 Comparative study of faunal biodiversity in temporary waters of different Mediterranean areas. Interrelation between fauna and flora composition in aquatic temporary habitats. Nutrient and organism dynamics (planktonic and benthic; primary and secondary producers) in coastal lagoons and saltmarshes, temporary and permanent. Comparison among freshwater, brackish and saline ecosystems. The role of confinement in Mediterranean coastal lagoons ecology. Trophic interactions and food webs in coastal lagoons. Comparative of taxonomic and functional approaches in the study of aquatic community structure. Size-based approaches in the study of trophic interactions in aquatic communities. 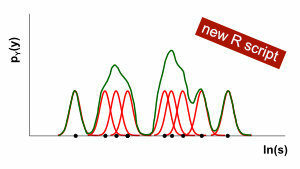 Spatial and temporal changes in community structure. Diel migration. Refuge and microhabitat selection.